Registered participants to submit a small portfolio of work to Aditya Singh. He will review the portfolio to understand the participant's experience and to identify the areas of improvements. He will contact each (or a small group) of the participants via email or phone to provide them inputs on their portfolio. Each participant will be provided inputs on the fundamental aspects of photography so that they have a fair understanding to make good images during the workshop. All basic and fundamental doubts will be answered much before the workshop so that advance learning happens during the workshop. Natural History about the location and what subjects to expect and how to shoot them will be shared. Basic concepts of photography will be presented in one of the sessions so that each participant learns to handle the camera like a pro. Fundamentals of post processing will be presented during one of the session. Guidance will be provided with areas of improvements during the hands on field outing. During the breaks, images will be reviewed and feedback will be provided. Evenings: More interactions and knowledge sharing on specific genre of photography designed for the workshop / photo tour. Participants will select and submit their top 5 images from the photo tour toAditya Singh for critiquing. They will be encouraged to write a blog/ story about their experience on the workshop with photos and submit it to Saevus. 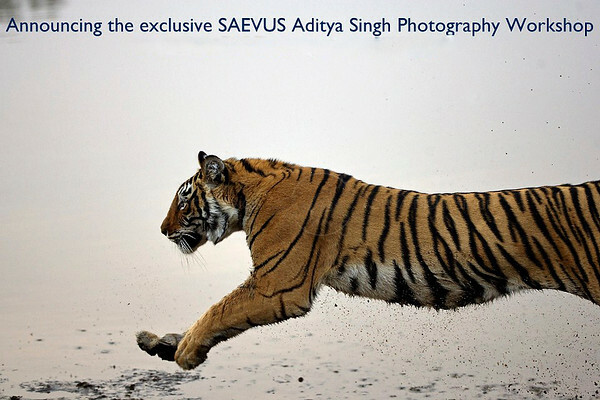 If the blog story gets selected, it will be published in India's Premium Wildlife Magazine Saevus. Photographs of other participants which are shortlisted may be published along with the story. The learning continues during their next photo tour/ workshop withAditya Singh.